The National Union of Students (NUS) is an unmitigated moral disgrace. My only concern about the preceding sentence is that it might not be critical enough. The NUS has, once again, found itself in a storm about anti-Semitism. 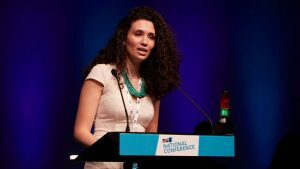 An investigation by The Independent found that three senior NUS figures, who are either members of or seeking election to the groups ruling executive committee, have been making anti-Semitic remarks. Enough is enough. It’s time to take a stand and, ironically, give the NUS a taste of its own medicine. As such I’m personally launching a campaign, admittedly only semi-seriously, to no platform the NUS. From now on I will refuse any offers to share a platform with, or speak alongside, any member of the NUS’s current executive committee. That I’m very unlikely to receive such an invite, as I’ve never been asked to address anybody ever, is but a minor footnote. The latest allegations concerning NUS figures are genuinely shocking, and at a time when it’s increasingly hard to be shocked by anything in student politics. Ali Milani, an NUS National Executive member who’s running to be the groups Vice President for Union Development, previously made a number of controversial tweets about Jews/Zionism including one which referenced the old formula about Jews and money. Noorulann Shahid, an NUS LGBT officer posted a video on Twitter containing a number of anti-Semitic stereotypes, which apparently made her ‘LOL’. According to the NUS website her current job includes challenging ‘discrimination’. It does sound rather as though the NUS has put a falcon in charge of the pigeon loft. Meanwhile Sean O’Neill, who’s running for a place on the NUS’s Executive Council, previously sent tweets using the hashtags ‘heilhitler’ and ‘fuckslutskilljews’. Now as anyone who’s been following student politics will know, these comments don’t represent a series of isolated incidents which can be quietly brushed under the carpet. When it comes to the NUS, the rot quite literally goes all the way to the top. The current NUS President Malia Bouattia, has previously made comments about ‘Zionists’ which the House of Commons Home Affairs Select Committee described as ‘outright racism’. She described Birmingham University as a ‘Zionist outpost’ and, according to the latest allegations from The Independent, participated in a play called ‘Seven Jewish Children’ which has been described as anti-Semitic. To put it bluntly, and we really do need to put it bluntly, if the there was this level of prejudice within the NUS directed at any group other than Zionists and Jews it would be described as institutionally racist. Self-styled ‘progressives’ would be falling over each other to boycott and no platform the group, and to insist that heads must roll. The Balance of probability is that there would be angry protests outside the NUS headquarters within days. As bigotry is a disgrace this is commendable, or at least understandable if you disagree with the tactics, and there’s no reason why Jewish students shouldn’t be afforded the same protection. Let’s be clear, the trouble within the NUS isn’t just related to anti-Semitism. That represents merely the most repulsive of a whole series of pungent aromas. The NUS runs a sham democracy, with the President being selected not be ordinary students but by conference delegates, who in turn are elected in university specific votes which attract a pathetically low turnout. As a result NUS politics, and I speak as a recent graduate, bears little relation to the views of actual students. 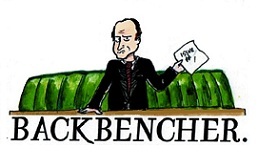 When I was at university student elections were essentially a competition between the centre-left and the hard-left, plus the occasional joke candidate, with no one else bothering to take part. 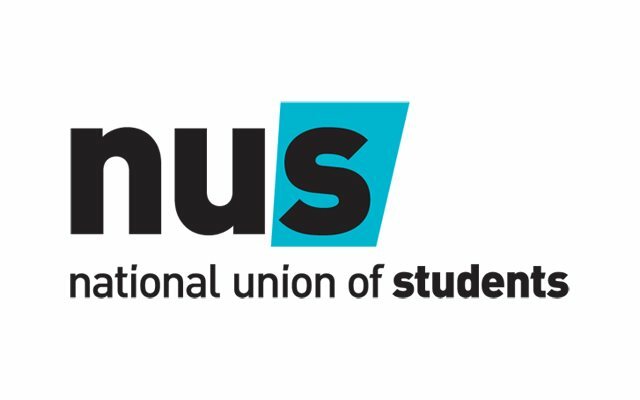 Consequently the NUS has become thoroughly politicised, getting involved in fringe left-wing campaigns like those to abolish the monarchy or boycott Israeli goods, whilst opposing important programmes such as the Government’s ‘Prevent’ counter-terrorism strategy. If the NUS came across a group as laced with bigotry as itself, provided that bigotry was aimed at an alternative target, it would almost certainly be targeted with a ‘no platform’ policy. This being the case perhaps it’s time to no platform the NUS, until it gets its house in order. I don’t advise you take this terribly seriously, for a start I’m generally opposed to refusing to let groups speak, but in this case I think it would be both funny and ironic. So friends, comrades even, I urge you to join me in no platforming the NUS.